Those who were to die in battle were chosen on Odin's behalf by Valkyries. 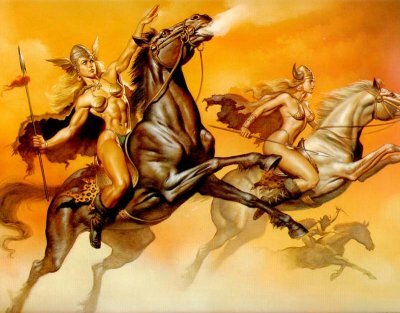 The name Valkyrie literally means 'chooser of the slain' and these female spirits went to the battlefields to grant victory according to Odin's will and lead the slain back to Valhalla. They also waited on the dead warriors in Valhalla, serving their food and drink.